With headsets ringing in from anywhere as low as fifteen dollars to three hundred, it can be hard to figure out which one will best suit your needs. It does help to pick a firm budget to work with however, and the Level 5 Plus by PDP should be considered if you are in the lower-to-mid range due to their comfort and sound quality. Related reading: All our reviews of PDP accessories. Oftentimes what we as players do when trying to figure out what we want in a headset is we put together a sort of mental checklist of the things we really want. What impressed me most about the Afterglow Level 5 Plus was how many of the boxes the headset checked, despite ringing in at just under sixty dollars. To start, the design was decidedly unlike most of the Afterglow headsets I have used in the past, but I actually liked this design better than most of the others. 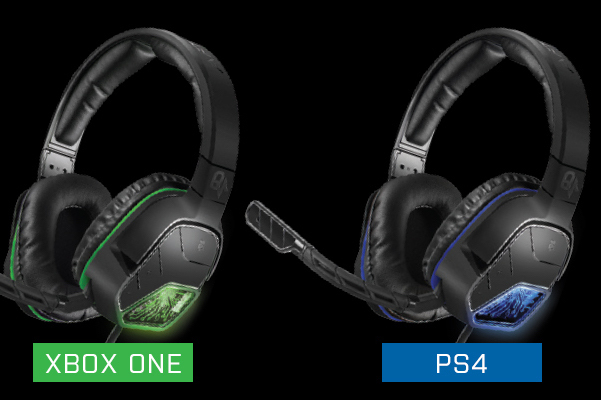 Less rounded than most of the other Afterglow headsets and with less bright/ borderline distracting glow, I actually thought this headset looked sleeker than most. While on the topic of physical design, it is worth noting that the band is incredibly padded, and further down the sides than a lot of headsets, which only really pad the underside at the very top where the majority of the headset weight resides. Instead of only being padded at the apex, there are actually two pads that start near there and taper down towards the swiveling earcups. The foam padding on the earcups made my ears a little warm while in use for really long stretches of time, so they could perhaps be a little more breathable, but they were quite comfortable overall and did a nice job of sealing out ambient audio in the room I was occupying. The microphone is not retractable, though it is flexible and can be tilted upwards. There are some nice easy access audio controls on the behind the ear as well. Because of the drivers and bass that these headphones produce, you actually have AAA batteries that you need to use. This does make the headset slightly heavier than normal - putting those dual headband pads to good use. You can use the headset in a passive mode should the batteries die, but the headset does give you some warning when the batteries are nearing the end of their life, which is a nice perk. If there is a design flaw in my mind, it is that the wire from the headset to the controller is not detachable/replaceable. The cable itself feels quite sturdy and does not get easily tangled, but given that it ends in a somewhat typical 3.5mm connection (more on that in a moment), it would have made sense to make this cable replaceable if needed. 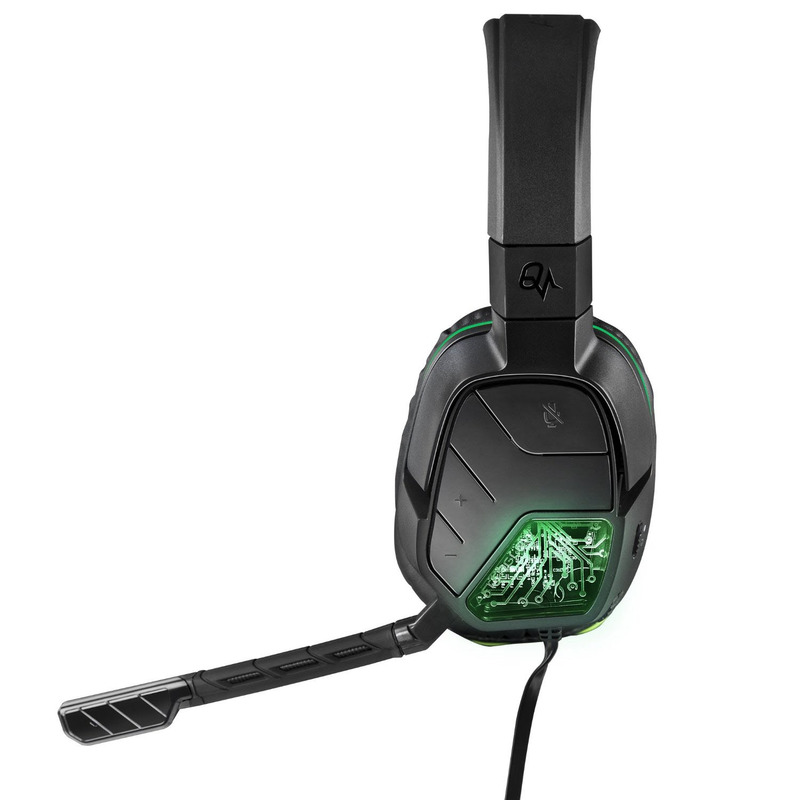 So speaking of that connection - you need to either use this headset with the new second generation of Xbox One controllers that has 3.5mm cable support, or use an adaptor if you are using a first generation controller. Otherwise this will not work. I do not see it as a problem, and in fact this could have been a strength if the cable was in fact detachable as mentioned above, but it is something I wanted you to be aware of should you be considering ordering it. 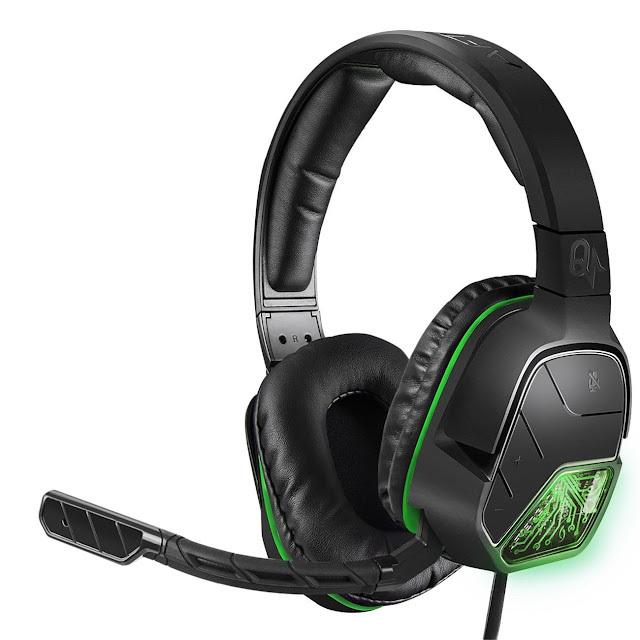 Given that the headset is comfortable, the next biggest concern is the sound quality. Here the Level 5 Plus delivers really good value, especially given its price point. PDP advertises haptic drivers to help really drive the low end bass. I suspect these are why the headset relies on the AAA batteries as well, but I have to say that bass quality delivered here is really, really good. Explosions, growling rumbles, bass heavy music and the like are all delivered with a nice adequate thumping. To that end, the bass really, really delivers a solid punch. Unfortunately when a headset puts so much focus on the base, the clarity of the higher tones can suffer somewhat. I did not struggle to understand dialogue nor did I have any trouble differentiating more subtle effects such as gunfire in a shooter, but the bass can cause these subtler, higher tones to drown out somewhat. The microphone is good, but not great. I say that because while it is quite clear and the audio quality it delivers is generally excellent, the noise cancelling does tend to soften my voice. My friends said that they could tell I was using a new headset, in part because I was just a little quieter than usual. There was no crackling and the microphone did a really good job of filtering out ambient noise in the room (a necessity when my wife and a kid are three are tearing back and forth from one room to the other). One nice feature is that flipping the microphone up automatically mutes your voice and lowering it once again enables chatting. For where these fall on the price scale, the Afterglow Level 5 Plus delivers really good value. They will not compete with some of the bigger two hundred dollar headsets out there, but the design and comfort is quite good and the overall audio quality also delivered. This is especially true if you are a fan of heavy bass. A couple of design tweaks could have made this headset even better, but even as-is, they fill a need at their price point that is generally lacking.